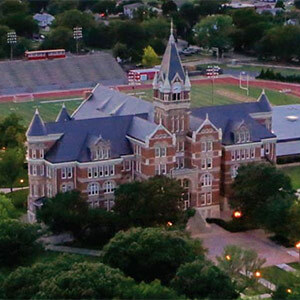 Friends University offers graduate level workshops across a number of content areas and grade levels, supporting the needs of educators seeking re-licensure opportunities, salary advancement and professional development. Workshops also provide elective options for students enrolled in the Master of Education in Teaching and Learning, AND the NEW Special Education High Incidence (P-12). 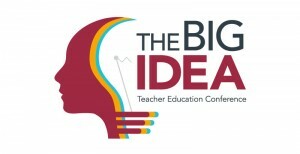 Friends University Teacher Education Workshops will be hosting a conference called The Big Idea in June, 2019. For application and enrollment, visit the Big Idea page. A brief application submission is required once a year to update your information on record. Accurate information provided allows Graduate Workshops to include you on notifications regarding workshop offerings. Online Application for Graduate Workshop Attendance is quick and simple. This application “populates” previously entered information following initial set up as an applicant. For first time users, follow the prompts and complete the steps. For future entries, simply sign in, and update any previously entered information. Please be certain to note the email and password initially provided, as this will be your key for future access. Once you have completed all pages, press “submit” you will receive a “thank you” confirmation on your screen and a follow-up email. If you are a returning student, your account will be activated within one full hour of application submission, allowing you to enroll and provide payment through your Self Service Banner (SSB) account at any time. New students will be notified by email within two to three business days of their student account activation, and will be issued a Self Service Banner (SSB) account login and password. Once this information is received, you may enter your SSB account to enroll and provide payment. Forgot original email used for online application? If you cannot recall the initial email entered, or it has since changed, you may contact the Admissions Processing Help Line at 316-295-5706 for assistance during regular business hours. Forgot password used for online application? Click on “Forgot Your Password,” enter your email, and press “submit.” You will receive an email with additional directions. We also offer an Electronic Paper Application for Graduate Workshop Attendance that requests the same information, in a pdf format. Although this form is identical to the online form, processing to allow your enrollment takes longer, generally requiring a two to three day wait period. Please choose the application that best serves your needs. If at any point, you need assistance, feel free to contact Graduate Workshops during business hours at 316-295-5516. We are happy to assist. Friends University has been the “gift that keeps on giving.” I continue to be impressed by the variety shown in the teacher workshop offerings. They are timely and critical to strengthening the level of expertise in my teaching craft. Based on these workshops and the summer graduate class offerings, I am able to return to my school in the fall with impactful lessons, technology strategies to enhance my instruction and leadership ideas for my team. After you submit your application, you may enroll 24/7 at your convenience. Use the information provided in the brochure (CRN numbers, title, dates, and cost) to assist you as you select workshops. Use Self-Service Banner to begin the enrollment process. Classes fill quickly so don’t wait! If you need assistance, call 316-295-5516 during regular business hours or email educationworkshop@friends.edu. What are some of the services I will receive with online registration? Once you have access to your Self-Service Banner account, there are many services available to you. You will be able to make payments, add/drop classes according to the dates listed for each offering, and view your history and activity of workshops taken through Friends University. You may also view a copy of your unofficial transcript. This may be extremely helpful as you are reviewing your re-licensure dates and needs. If I do not submit an application first, will I be able to enroll? No. Your application provides a user identification and pin number so that you can enroll. The completion of your application establishes you as a student. Please submit an application each term you plan to attend. I am a current student in the Master of Education in Teaching and Learning or Special Education High Incidence degree program. Do I need to submit an application in order to take workshops? No, meet with or contact your adviser as normal, to obtain your needed alternate pin for registration. Can I change the PIN assigned to me by the IT department? Yes! Once you have received your user identification and pin number you may change your PIN to better suit your needs. What happens if I lose/forget my user ID or PIN? Please contact the Help Desk if you have trouble logging in, need instructions or assistance at helpdesk@friends.edu or by phone at 316-295-5767 or 800-794-6945, ext. 5767. You may register for a workshop during open enrollment. We suggest you enroll quickly, as classes fill! I still have questions, whom should I contact? Email or call the Graduate Workshops office at educationworkshop@friends.edu or 316-295-5516, or 800-794-6945, ext. 5516. Smoke Free Campus:The use of all tobacco products is prohibited on all property that is owned, operated, leased, occupied or controlled by Friends University. This policy applies to all persons on the Friends University campus.